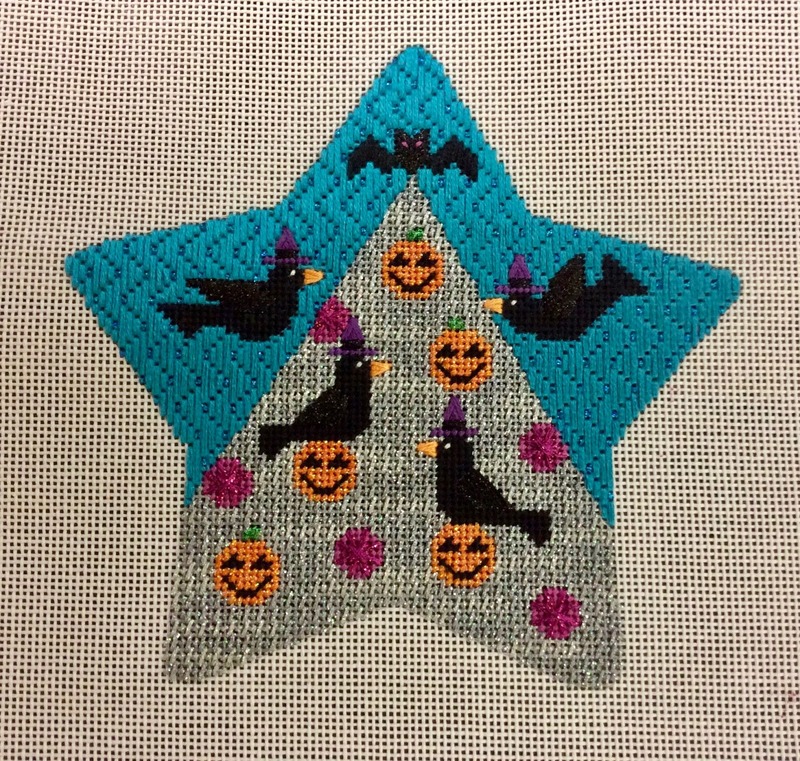 Happy Holidays, a Canvas Update! 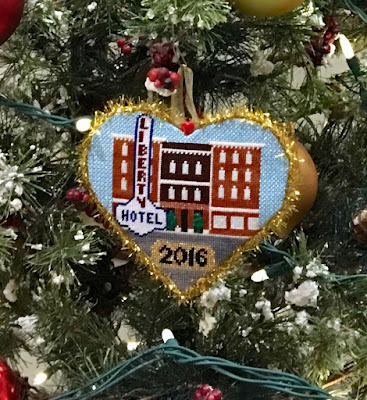 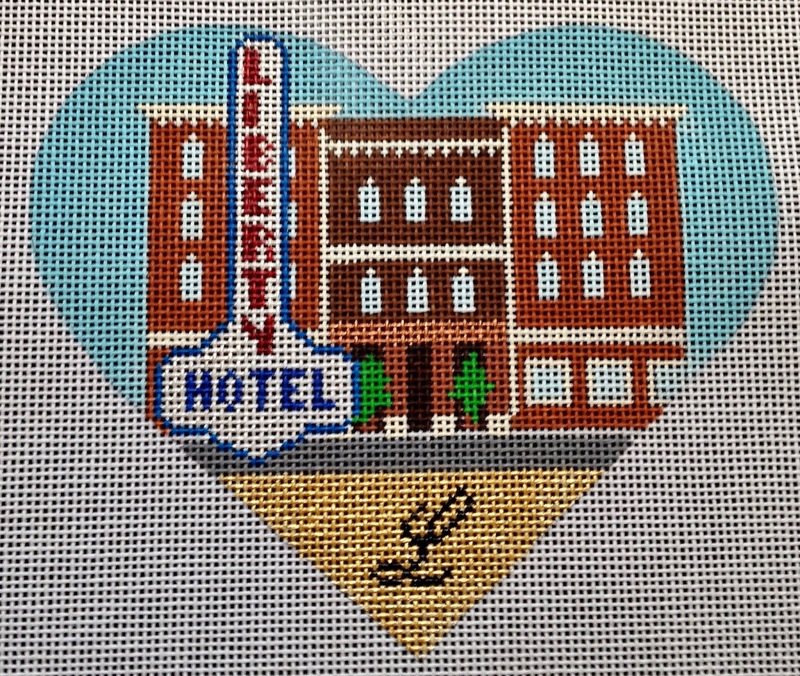 I have recently updated this canvas, instead of having 2016 painted at the bottom (which marks the year I gifted it), it now has the "L" of the hotel logo. 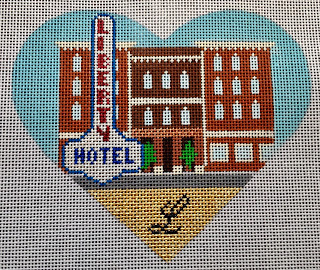 This canvas will be available at Cleburne's local shop, Fancy Stitches. 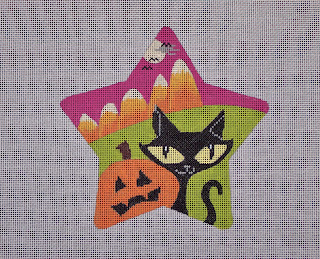 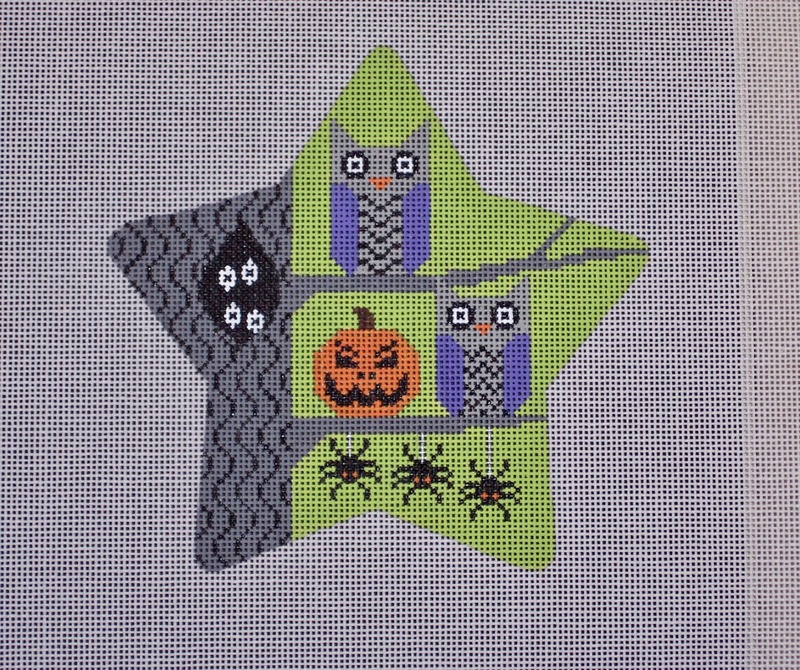 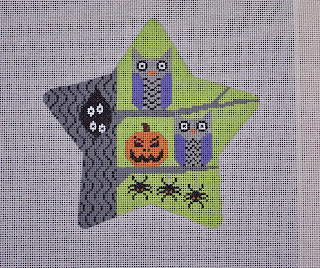 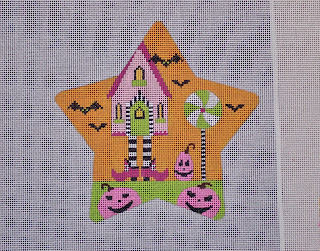 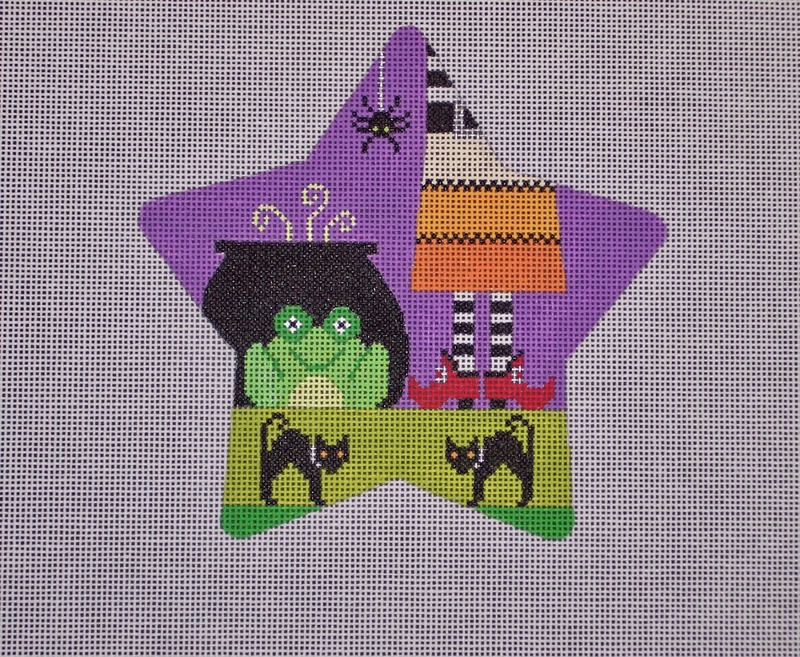 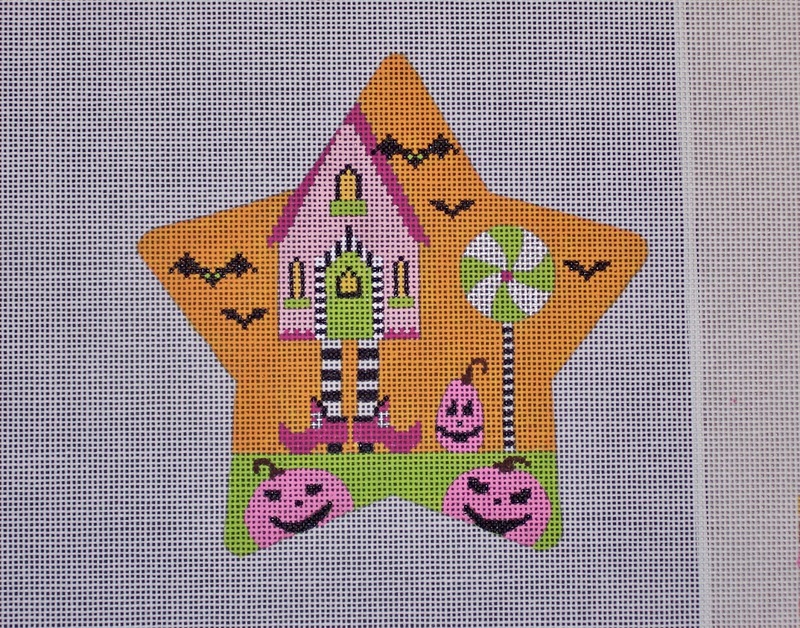 Showing off one of Cynthia's stitched Spooky Stars today! 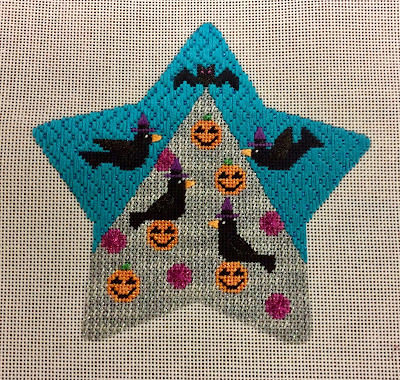 This is the Crows star, I really love this one because of the thread she picked for the tree. 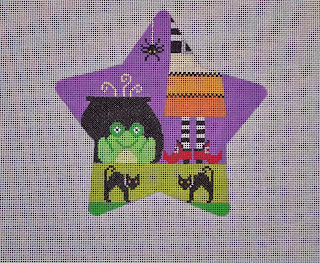 It's a very subtly shaded metallic that really gives this great foggy and spooky effect I think. 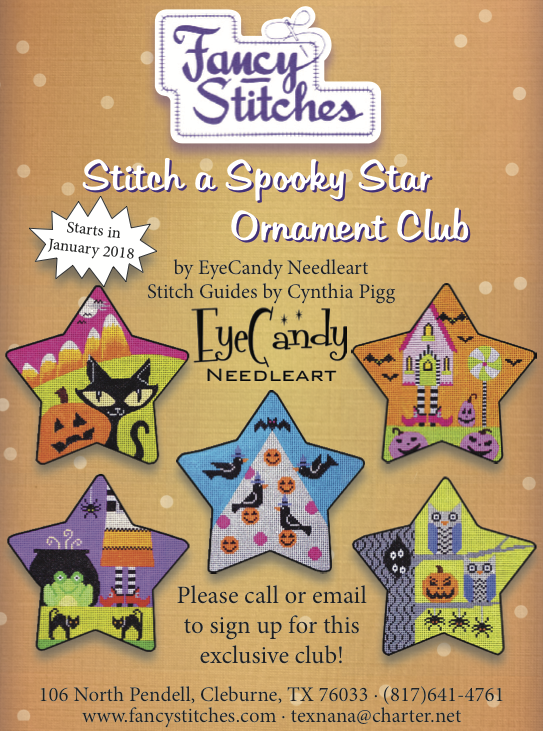 This is a set of five ornaments exclusive to Fancy Stitches, give them a call for more details and to sign up!